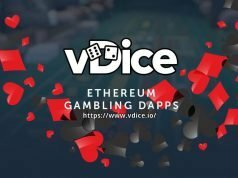 vDice is a leading blockchain gambling platform on Ethereum. The ICO for the emerging platform has confirmed raising a huge $1 million in just 90 minutes, on its first day. The ICO is ongoing and has now entered its final 14-days. Interest is still very high, especially in the key markets of China, Russia, Japan and Latin-America. Blockchain is a very important technology. 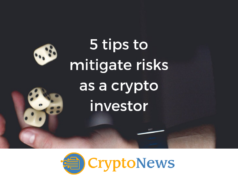 Many leading companies, especially from mainstream finance, are working to integrate the technology into their systems. Ethereum has emerged as the leading blockchain platform for distributed applications, otherwise know as ‘dapps’ or ‘smart contracts’. This is code without a server. It lives on a peer-to-peer to network. As such it is censorship resistant, and cannot be taken down. 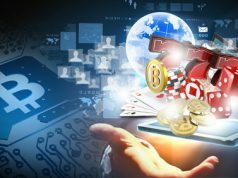 The vDice platform is betting that the first applications likely to succeed on this emerging technology will be gambling. vDice is a platform that makes it possible for developers to start working on their own decentralized blockchain gambling Dapps for vDice. Online gambling is a multi-billion dollar industry. Like music and publishing, it’s about to be disrupted by decentralisation. vDice is one of the only working Dapps on Ethereum, processing transactions. vDice is one of the most popular Dapps on Ethereum. Making secure Dapps for Ethereum is something vDice take seriously. The vDice unique token, called ‘vSlice’ uses the same smart contract technology, tied to their revolutionary platform. It will be interesting to see the final result of their ICO effort.